Clean, safe drinking water is absolutely necessary in your RV . 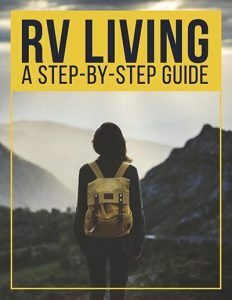 If you just purchased a brand-new RV, you will need to sanitize the system before ever using it. 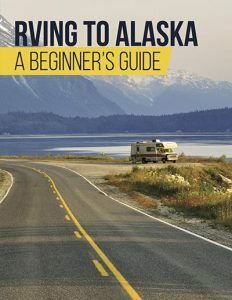 If you bought a used RV, you should sanitize it, just in case the previous owner did not. Also, sanitize the system after months of storage. Generally, the accepted method of sanitizing involves the use of bleach. Fill the fresh water tank ¾ full with a solution of half a cup of bleach to every 15 gallons of water that your fresh water tank can hold. If possible, drive around with this solution in the tank. This will make the water swoosh around and aid in getting the bleach solution all over the tank. Let this solution sit in the tank for a few hours. Open all faucets and let the water drain out. You should be able to smell bleach. 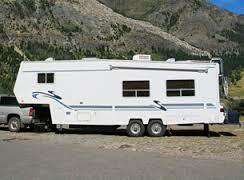 Let your RV water system stay with that bleach smell for another 3 hours at the very least. You can now refill and drain the tank as many times as possible, until you can’t smell bleach anymore. Fill and drain. Refill and drain again. If not, you will be drinking bleach water. Proper care and maintenance of the fresh water system in your RV is necessary, if you want to remain healthy. As little as 500-ml of water left in the tank gives bacteria and algae a place to grow. Does the water in your RV have an odor? 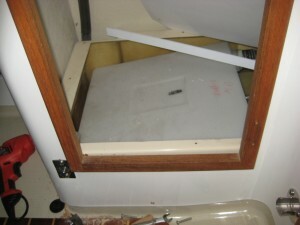 You most likely did not drain the holding tanks properly before storing your RV. 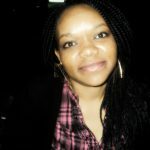 The water that was left stagnated. Has your fresh water system been unused for more than a month? Many RVers say there is no reason to sanitize the tank, as they do not drink water from the tap. 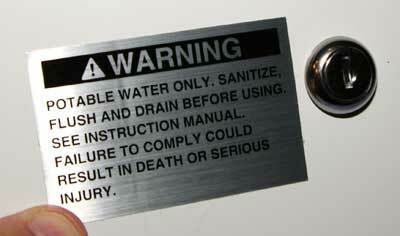 If you use the water in your RV for any reason other than flushing the toilet, sanitize. If you used antifreeze in your water system during storage, you need to flush it out completely. Never use the same antifreeze you use in your radiator when winterizing your RV water system. RV antifreeze is bright pink. To flush out anti-freeze, you need to hook up your RV to a water source. Open the gray water outlet, and turn on all the faucets so the water can run through. 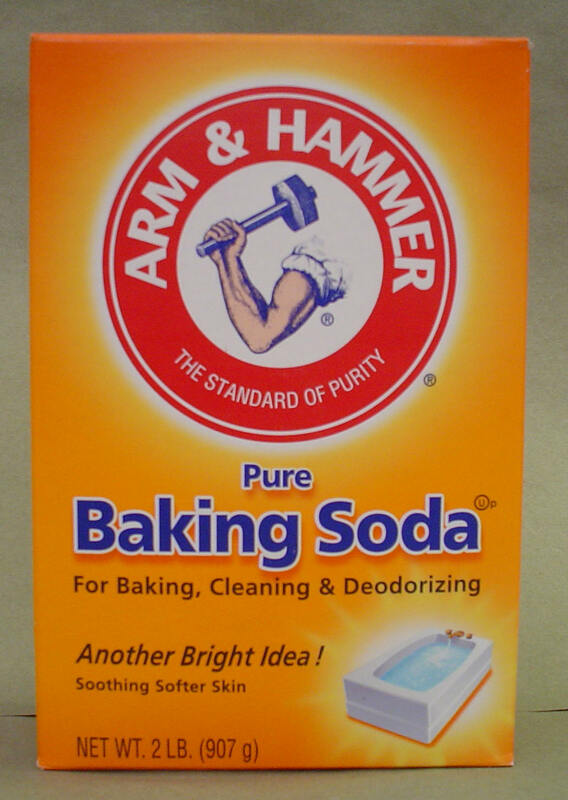 If there is a taste or odor after several tank-fulls of water have passed through the system, add some baking soda in the inlet. 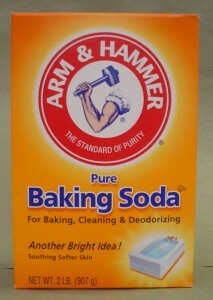 Let the baking soda solution sit for a few hours in your holding tank. Keeping the fresh water tank fresh. 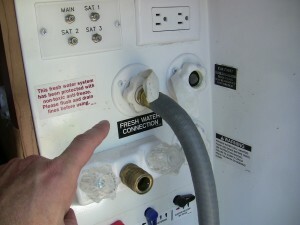 Water filters are common features in all RVs. Water in a warm dark place, such as a holding tank, has the perfect environment for bacteria to grow. Filter all the water coming into your fresh water tank, to minimize the build-up of bacteria. Chlorinated water does not stagnate. All the water going into your RV should be chlorinated. Replacing an aged fresh water tank. Replacement freshwater holding tanks are available for all tanks. Before you can purchase a replacement tank, you need to first know the dimensions of your existing tank. Polyethylene plastic is the material used to make a holding tank. Glue, sealants, petroleum jellies, and greases are not compatible with polyethylene plastic. You should first clean out the fresh water system. Ensure all pipes are drained. Use liquid soap and water to fill up the holding tanks and drain again. Refill and drain the system until the soap is completely gone. After draining the system one more time, take out your old holding tank and fit the new one in. Follow the instructions that are included. Check for leaks by slowly filling your new fresh water holding tank. 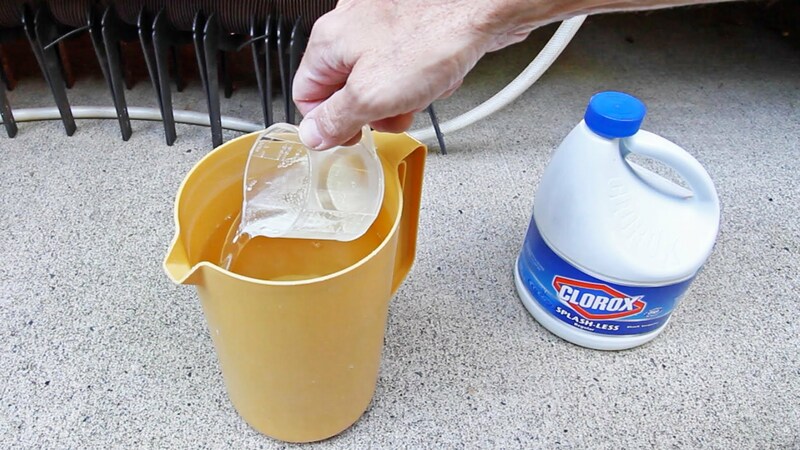 Repair any leaks found, then fill the tank ¾ full with half a cup of bleach for every 15 gallons. Let this water sit in the holding tank for a few hours. Flush the system once again, until the holding tank holds fresh, taste-free water. If your fresh water tank cracks or needs repairs while you’re on the road, you will need to drain it completely, before the replacement arrives. If you simply need to repair the tank, remove it completely in order to do so. To repair a crack in the fresh water holding tank. Drill two holes near the crack on opposite sides of each other. Sand the area as much as possible to make the surface rough. Cut a patch 3 inches larger than the hole you’re fixing. Use the recommended resin to cover the patch and cracked area completely. Let it dry and set properly before refilling the repaired tank with water. Holding tanks are a necessary evil in the RV life. These much despised tanks allow for the self-contained RV that we all love. Properly care for your RV fresh water holding tank to prevent costly repairs. 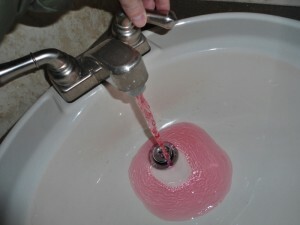 Do you have some tips on how to sanitize a fresh water system? Let us know below!